* I was sent product coupons for my recipe. All opinions expressed are my own. A big part of football watching for many families is the food they eat during the game. There are many go to recipes for burgers, wings and dips that are traditional at a game day gathering. 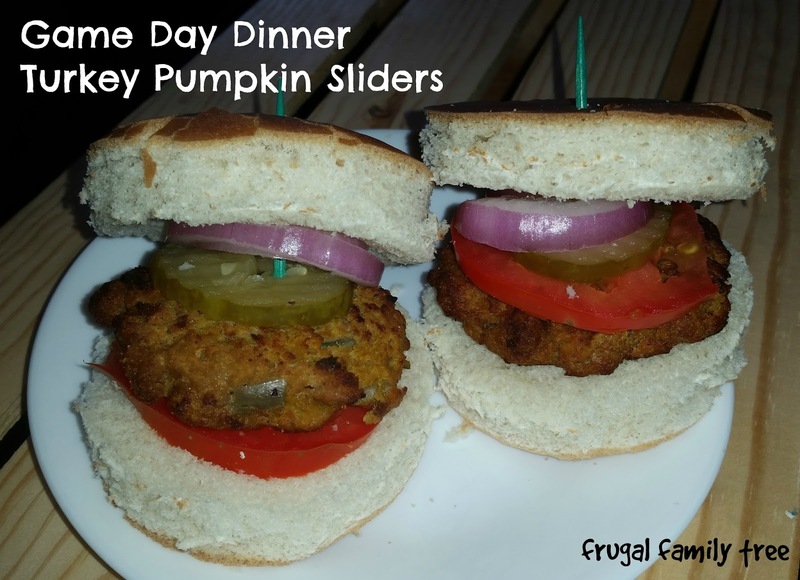 I wanted to try something a little more Fall inspired for my burgers this time. I found inspiration in one of my favorite Fall treats pumpkin spice! I added onions and pickles to help balance the sweetness of pumpkin puree and pumpkin pie spice. Combined all ingredients in a bowl. Form into small round patties. Place in pan to bake in oven at 350 degrees F. for approximately 30 minutes, or until the internal temperature reaches 165 degrees F. Your oven may vary on time. Allow to slightly cool and add toppings per guest taste. Serving sliders at a Game Day gathering makes it easy to grab and eat while still sitting on the couch and watching the game. I serve two at a time to my family and let them add the toppings they like. I enjoy cooking with Ground Turkey for the lower fat content and variety of ways I can use it in everyday recipes. Foster Farms Simply Raised Ground Turkey is 100% natural*, California-grown with no added hormones, steroids or antibiotics ever. Visit fosterfarms.com for delicious and easy party meal ideas. 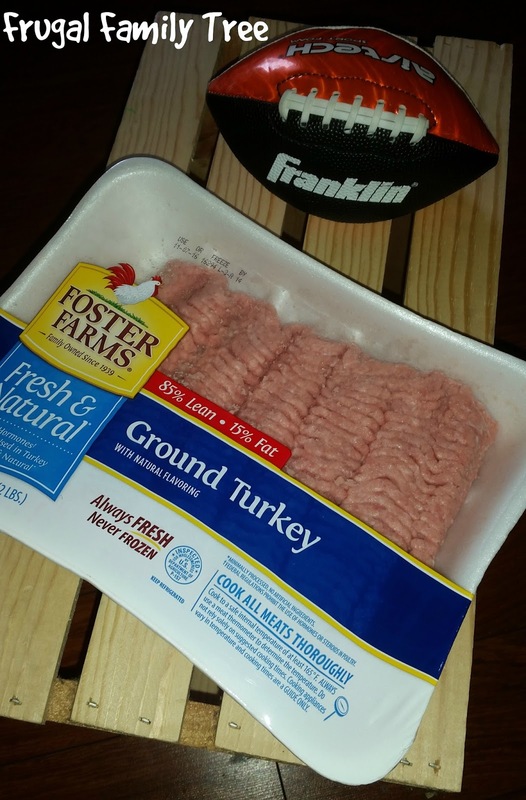 How you do Gameday with Foster Farms Simply Raised Ground Turkey? To enter, users simply need to share a photo or up to a 2-minute video demonstrating how they tackle their chicken come game day – whether it’s dressing up corn dogs or stuffing strips into wraps to satisfy the whole family long past kickoff. 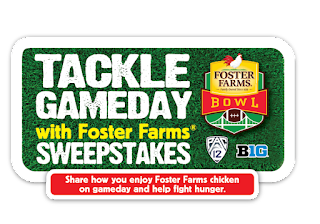 Entrants will qualify to win weekly gift cards worth $100, a First Prize of a catered home viewing party, plus the Grand Prize: a VIP trip for two to the Foster Farms Bowl! Plus, every video submitted generates a donation of 50 meals to local food banks – turning your Foster Farms fandom into real help for the hungry. 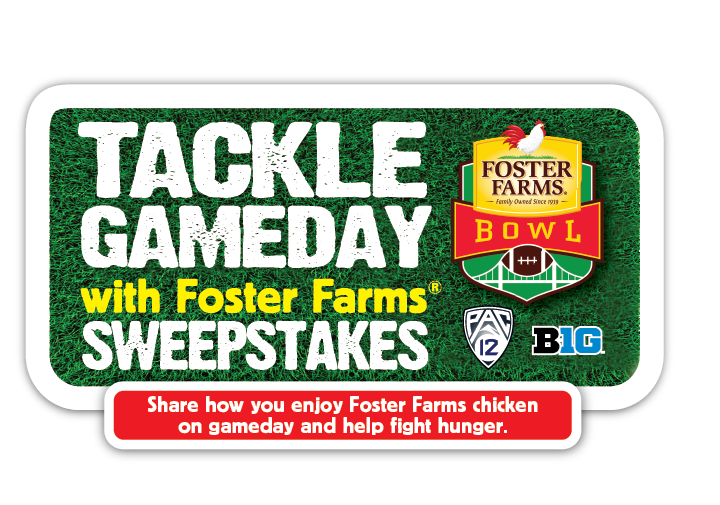 Giveaway for $82 worth of Foster Farms coupons for one winner. 1 Winner (US Only) they would get: ($82 in value). *Limited to US residents 18 years old and above. Giveaway starts October 2, 2016 and ends on October 11, 2016 at 12:01 am PST. Winner will be emailed and has 48 hours to respond before another winner is selected. I was not paid for this giveaway or post. The opinions on this item are 100% mine and may vary from others. The sponsor is responsible for providing the prize. *Limited to US residents 18 years old and above. Giveaway starts November 2, 2016 and ends on November 11, 2016 at 12:01 am PST. Winner will be emailed and has 48 hours to respond before another winner is selected. I was not paid for this giveaway or post. The opinions on this item are 100% mine and may vary from others. The sponsor is responsible for providing the prize. For game day, we love wings and nachos. I think I am going to throw slider in next week. My favorite game day recipes are usually finger foods that can be eaten while watching the game, and with little risk of making a huge mess. Mozzerella sticks are a great option. Little miniature sliders like you made would also be great. One bag of chicken strips would make a few dozen individual sandwiches. I like Mexican layer dip or wings. My favorite game day recipe is my Chicken Nachos! We just love them! This recipe looks great! Yum! I will have to enter the sweepstakes too! One of our favorites is sausage balls and we also like chicken wings with ranch. My favorite game day recipe would have to be pulled pork in the slow cooker. My favorite game day recipe is spicy chicken wings. We love sliders and sloppy joes. My favorite game day recipe is BURGERS and WINGS! Oh your sliders look so amazing! One of my favorites to make for game day is chili! Easy in the crock pot and everyone always seems to love it. I love spicy chicken wings. 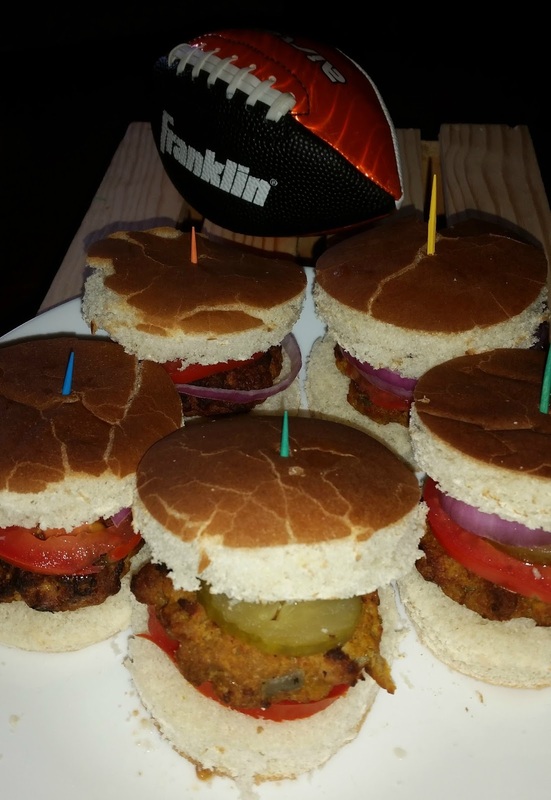 My favorite game day recipe is ham and cheese sliders! My favorite game day recipe is meatballs or nachos with homemade guacamole. My favorite is baked taco dip!